Last summer 50,000 trillion Becquerel’s of radiation leaked into the Pacific, however, Tepco says tritium poses little risk to human health and is quickly diluted by the ocean. 300 tons of radioactive water is leaking daily into the Pacific and there is no known technology to fix it. In one of the world's worst nuclear disasters, the Nos. 1 to 3 units experienced fuel meltdowns while the No. 1, No. 3 and No. 4 units were also severely damaged by hydrogen explosions following a massive earthquake and tsunami in March 2011. To prevent leakage of tainted water, Tokyo Electric Power Co (TEPCO) has installed a costly “ice wall” to keep groundwater from seeping into the stricken Fukushima Dai-ichi nuclear plant, however, data from the operator shows, it has failed. However, since the ice wall became fully operational at the end of August, an average of 141 metric tonnes a day of water has seeped into the reactor and turbine areas, more than the average of 132 metric tonnes a day during the prior nine months, a Reuters analysis of the Tepco data showed. The aim was to freeze the soil into a solid mass that blocks groundwater flowing from the hills west of the plant to the coast. 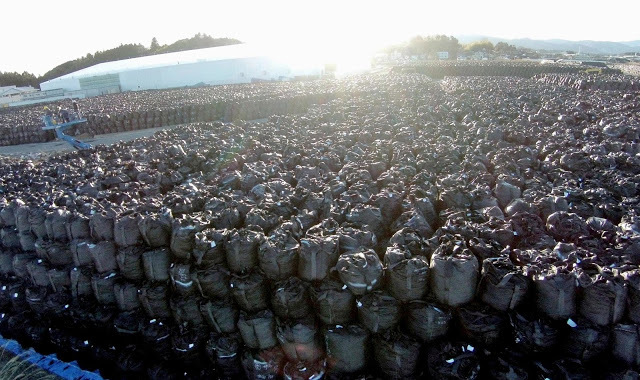 However, the continuing seepage has created vast amounts of toxic water that Tepco must pump out, decontaminate and store in tanks at Fukushima that now number 1,000, holding 1 million tonnes, which will at some time be dumped into the Pacific. Last July TEPCO released around 770,000 tons of highly radioactive water into the Pacific Ocean. Distilling the water will remove heavy metals such as radionuclides the problem is the enormous quantity of contaminated water. Dumping it in the ocean is the old mentality of dilution is the solution to pollution. But nobody wants to talk about is the fact that these plants were built after the Three Mile Island debacle with hydrogen vents added as a new design, there should have been no hydrogen explosions.